Welcome to the world where HR is as easy as 1-2-3. Sharper and more efficient HR software for small to medium sized businesses. 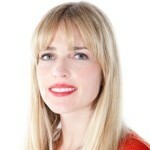 Shred the spreadsheet: HR belongs in the cloud! If you’re a team of 2 or 200, join the human resources revolution. 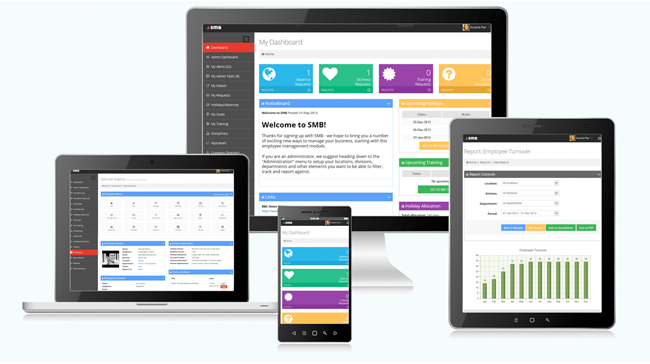 SMB streamlines the way you manage recruitment, employee data, sick leave, holiday, and absence management, in fact, anything to do with organising your workforce. Each employee has a secure SMB account to access the information they need, when they need it. Want to check holiday remaining at 3am? Need to read up on company policies? Wondering about Christmas shutdown days? It’s all easy. Show you value your people by empowering them with SMB. Of course, when it comes to HR, discretion is the key. Don’t worry! 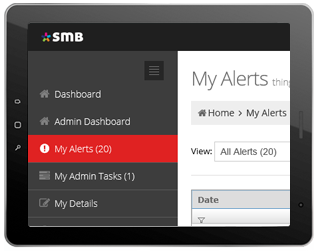 SMB lets you set permission levels so every employee only has access to the appropriate information. Get confidence that HR admin is taken care of and focus your time on nurturing your staff with SMB. 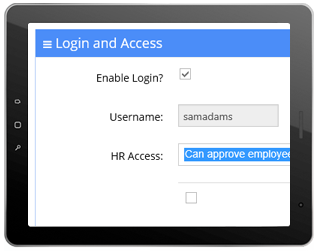 Daily notifications and alerts help you to stay on top of the HR function. Think of SMB as your very own intelligent and proactive HR assistant, helping you perform HR management in a timely and effective manner. SMB does the work so you can get on with what you really want to be doing - succeeding in your market!